A handshake between Mexico and the United States is expected today (Thursday) on the North American Free Trade Agreement (NAFTA). Politico reports the Trump administration is planning to formally announce a breakthrough with Mexico on the talks, which could pave the way for Canada to resume negotiations with the United States. The announcement is “on the schedule,” however, plans can, and often do, change in negotiations. The U.S. Trade Representative’s office maintains there “is no deal on NAFTA,” adding “there are major issues outstanding.” But, the White House could announce a “handshake deal,” that would be an effort to move forward with the talks beyond issues only between the U.S. and Mexico. 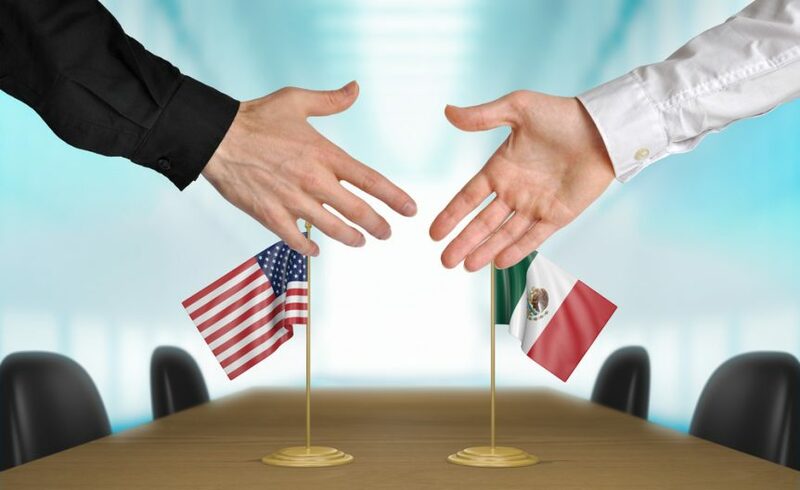 Getting any agreement with Mexico would be positive for U.S. agriculture, as it would offer some market stability and a certain future, much needed as Mexico is a top buyer of U.S. corn. However, NAFTA is just one piece of the Trump trade puzzle that the industry wants solved quickly.